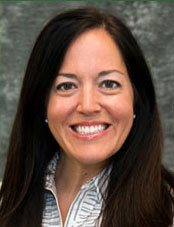 Janet Lambert, joined the Alliance for Regenerative Medicine (ARM) as CEO just over a year ago. And what a year it’s been. 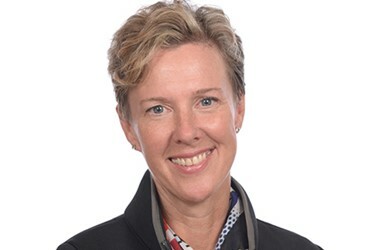 Recently, I had the opportunity to talk to Lambert about her first year as CEO, what ARM is doing in cell and gene therapies from clinical and commercialization points of view, as well as its areas of short-term focus. Here’s what she had to say. Harris: You’ve been the CEO of ARM for just over a year now. As you look back, tell us your thoughts about your first year. Lambert: It’s been an incredible year. When I started, for example, there were no approved therapies in the United States. There was a lot of uncertainty about what the Trump administration, The FDA, and CMS would mean for cell and gene therapy. Pharma’s interest in this space was spotty. Now, of course, we have three approved products. We have exceptional interest on the part of large pharma and large biotech. We have incredible investor interest in this space, and we have a very productive partnership with The FDA and CMS, and I think it’s fair to say a real advocate for this sector in Scott Gottlieb, The FDA’s commissioner. I think it’s been a whirlwind of a year and a year with fantastic scientific, clinical, and commercial news. Harris: What is ARM doing specifically in cell and gene therapies — from clinical and commercialization points of view? Lambert: ARM’s role in this sector is really to convene it, to connect it, and to advance it. Within that broad umbrella, we have a constant set of priorities. Those are advocating for clear, predictable, and harmonized regulatory and review pathways, making sure that there’s a clear and understood way to get these products approved that is both capable of ensuring that these products are safe and effective, but also gives them a realistic path to market. Second among these priorities we are focused on enabling market access and value-based reimbursement policies. Obviously now, when we were all in the scientific and therapeutic promise phase, and we didn’t have products on the market, the issue was getting them to market. But now that there are products in the market with many more on the way, the economics and the specifics of market access and novel payment approaches are preeminent, and there’s a lot of work to be done there. Third, ARM is focused on industrialization and manufacturing hurdles. There, our work is sometimes related to advocacy. The FDA’s draft guidance documents speak to some of the CMC or manufacturing issues in cell and gene therapy. There are regulatory aspects of the manufacturing piece, but there are also some challenges there that really are more about bringing the players in this sector together, just so that they themselves can identify the pre-competitive technical, manufacturing, and industrialization challenges, and which ones can we tackle as a group? We have committees that work on those things, and they’re focused on standards, templates, measurement analytics, and lexicons, etc. Fourth, we do quite a bit of stakeholder outreach and communication, but we also do a great deal of data aggregation. You may have seen that we are the leading compilers of data about this sector itself. Last but not least, we have a number of small companies inside of ARM. Smaller companies sometimes have trouble getting the attention of banks and institutional investors, and ARM can play a role in facilitating connections between early stage companies and investors through events, primarily, but via other activities as well. Harris: What are ARM’s areas of short-term focus in cell and gene therapies? Lambert: Our priority list includes tackling what’s unique about the reimbursement environment for these therapies. The reimbursement environment as we know it in the U.S. and elsewhere was created with the idea of, in many cases, chronic care — treatment over time. Treatment might be expensive over time, but it was paid for a bit at a time. One of the things that’s really unique about cell and gene therapies is that it may be a single administration or, in any event, a limited number of administrations. The one-time cost might be pretty expensive. Much of what we’re focused on right now is to determine how we help government payers and other payers break down the barriers that exist in these old systems to adopting more novel payment structures, such as payment over time? For example, perhaps the patient receives the administration one time, but still they want to have the ability to pay over time, or maybe the payer wants to have the ability to pay over time. But in some way, there would be a system in place that allows the patient be able to truly access the medication and to allow the payer system to be built to also cope with these new kinds of therapies. With Medicare and Medicaid, there are some limitations on their ability to do that. We and others are working with CMS and the policy environment to try to make these new payment models possible. That might also include some kind of pay-per-performance scenario in which you only get paid all or part of what you’re due to get paid if the patient has a particular agreed-upon-in-advance response that turns out to be durable. It’s often those kinds of caveats that are particularly complicated for the current reimbursement system. We’re working hand-in-glove with our members and with CMS to try to tackle some of the issues. In addition, on the regulatory side of things, we are working very hard to both refine ARM as an organization, as we were deeply involved in the creation and implementation of the ARMAT designation at the FDA. One of the issues this year, for example, was would it cover gene therapies? We had a lot of dialogue with the agency about why we felt that gene therapies should be covered, and ultimately, the agency came to that same conclusion; gene therapies are now part of the ARMAT designation.